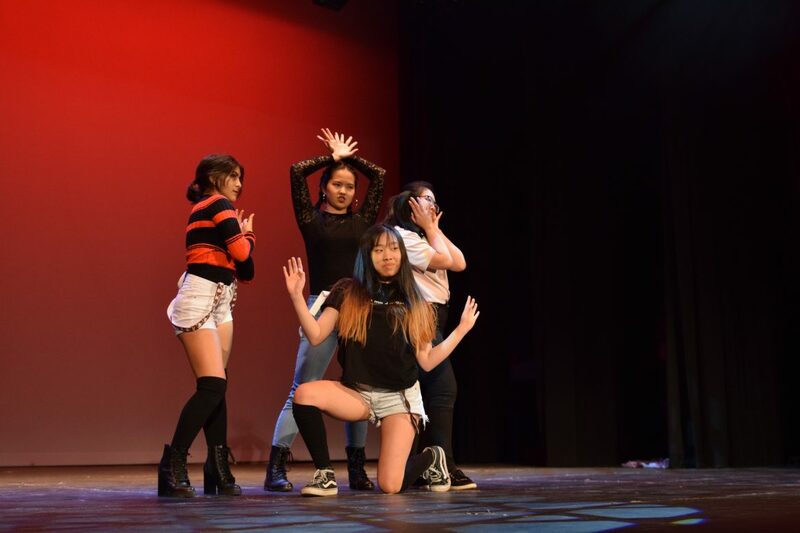 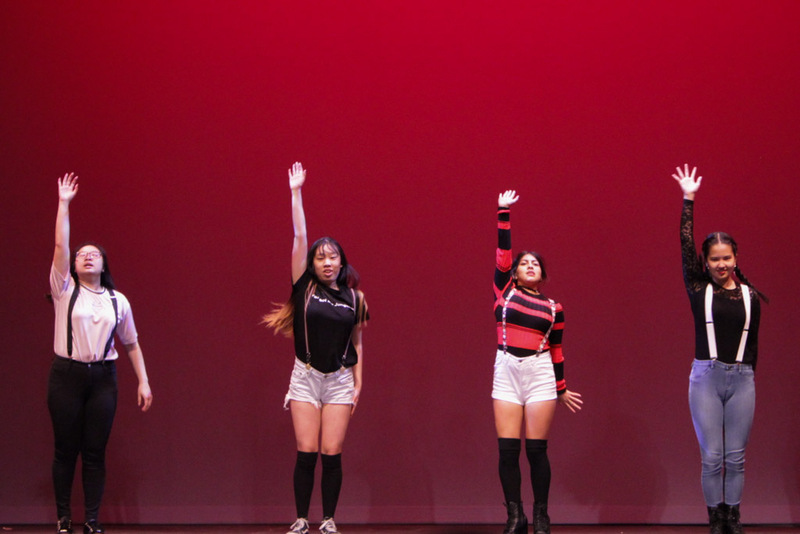 Seniors Susan Rodriguez and Jane Kim as well as juniors Dallas Lauren and Alexandra Chan perform as dance group Snooze, mixing various pop songs with energetic and mesmerizing choreography with K-pop style. 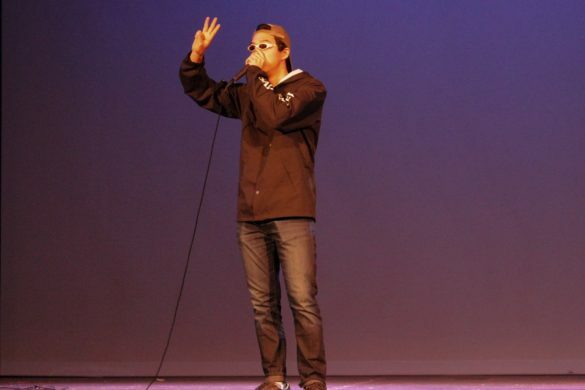 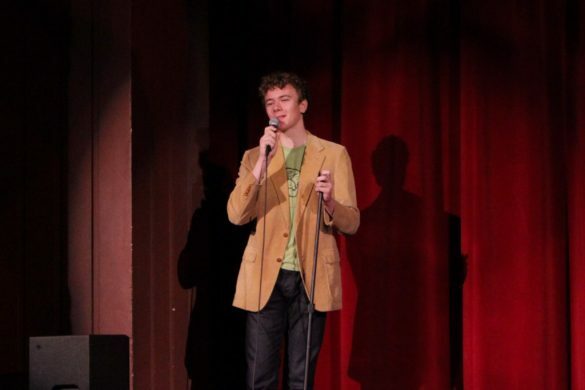 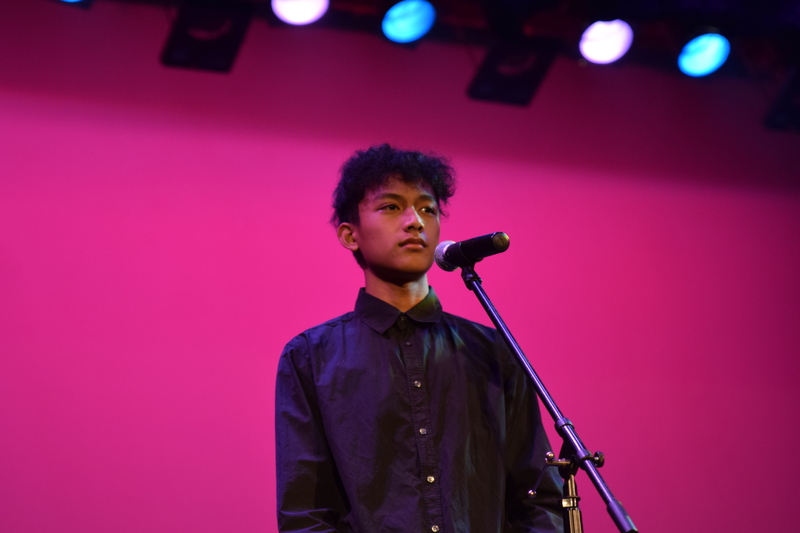 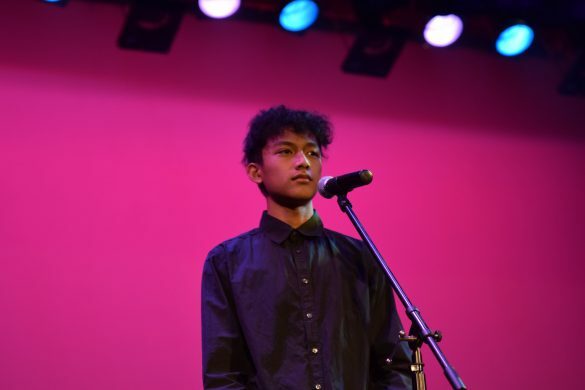 South Pasadena Students gathered on February 15 to witness the 2018 SPHS Talent show. Students from all grades came to sing, dance, and perform for their peers in Thursday’s assembly hosted by Senior Anders Keith. 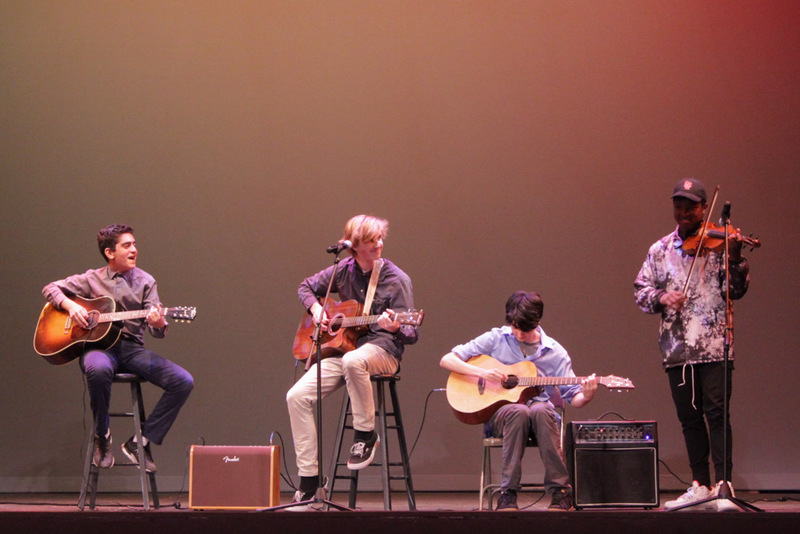 The show got off to a strong start with an original song named “People Come and Go” from rock band Red North who played with a mix of soft acoustic verses and electrified choruses from sophomores Eddie Chang, Nick Owens, and Ben Fogel. This was followed by a dance group named Snooze that mixed various songs with energetic and mesmerizing choreography from seniors Susan Rodriguez and Jane Kim as well as juniors Dallas Lauren and Alexandra Chan. 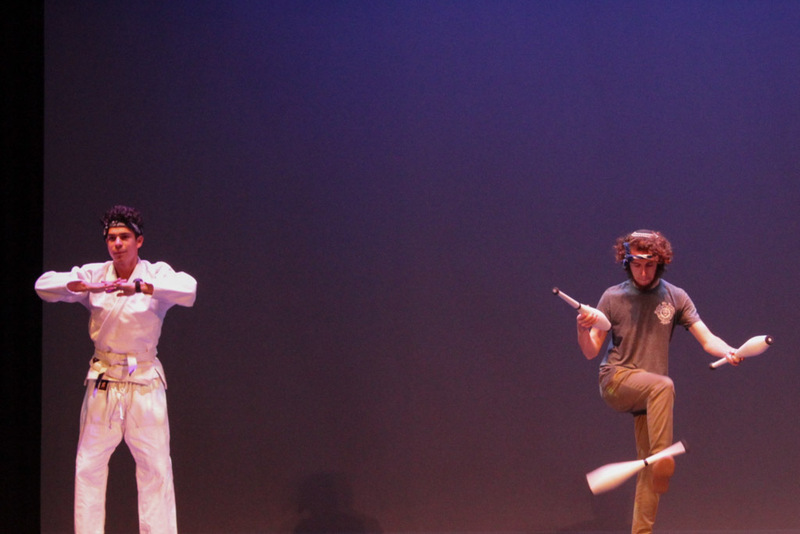 Coming up next was Josh Nahm’s fantastic beatboxing performance and a bizarre yet humorous act in which senior Alex Gallardo did 100 squats, Ben Elbaum juggled pins, and Diego Zavala told a story about a child with a long name. 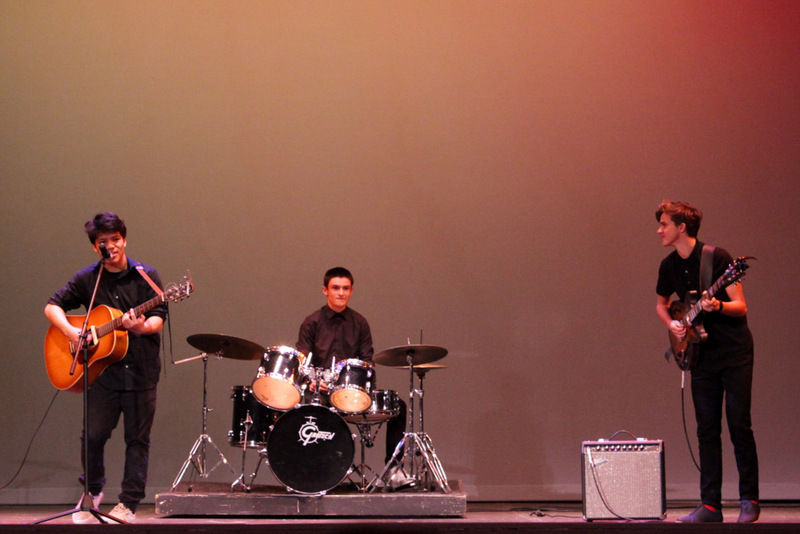 The second half of the show consisted entirely of musical acts. 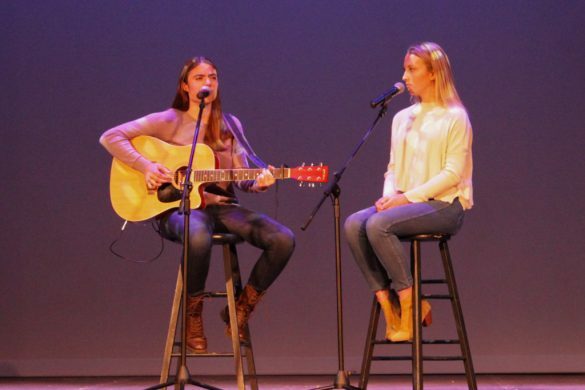 Seniors Sophie Reynolds and Harper Fox impressed everyone with their singing skills and Amanda Estevez moved the audience with her performance of David Bowie’s “Space Oddity.” The final two acts were an excellent duet from Iggy Quibilan and Anji Sin and an acoustic guitar and violin-filled performance of Pink Floyd’s “Wish You Were Here” by the aptly named Fink Ployd, which featured sophomores Cole Gallagher, Matthew Dudley, Shayan Gerami, and Serenda Camarillo. 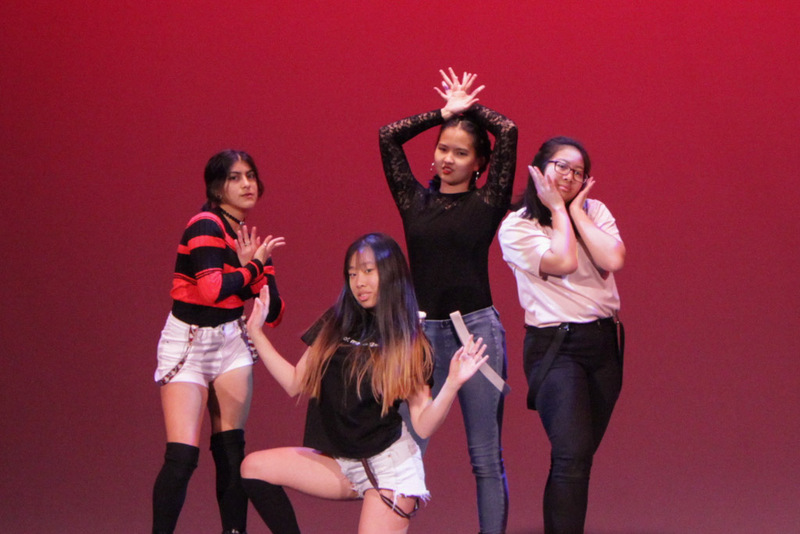 Amidst all of this, the school’s winter sports captains were brought to the stage to talk about the success that they have had over the course of this season. Anders Keith also had a series of witty monologues in between every act, entertaining the audience with humorous discussions about various topics.